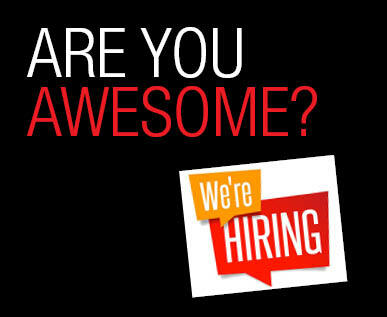 This is a full-time position, with an excellent benefits package. The Leadership Lackawanna Program Coordinator is responsible for assisting with the organization’s operations, programs and fund development initiatives. The Program Coordinator will have key responsibilities relating to the organization’s programs, marketing objectives, volunteer cultivation and recruitment and advancement of its mission. Actively communicate the mission, vision and values of Leadership Lackawanna. Assist with administration of the Leadership Lackawanna organization. This encompasses all programs, activities, and fundraisers and includes all budgeting, planning, marketing and reporting. Oversee primary coordination of the Tomorrow’s Leaders Today (TLT) and Core Programs, including recruitment and selection of participants. Details include such things as, but are not limited to: securing insurance certificates and permission waivers; entering participants into the database and keeping records current; compiling and distributing handout and curricular materials; contracting with trainers, speakers, tour site hosts, workshop/meeting sites, tour bus providers, and caterers; providing nametags and table tents, etc. Work collaboratively to develop and implement an annual Program of Work. Conduct appropriate systematic evaluation to measure satisfaction and outcomes and incorporate findings into curriculum and program design to maintain top quality programming that meets the needs of constituents. Provide guidance and monitor the progress of the class projects for the TLT and core programs. Assist with planning and executing various mixers, workshops, events, activities, dinners, luncheons and fundraisers for the organization; Assist with developing and preparing budgets, remarks, design promotional brochures and materials, select locations and organize hospitality arrangements. Oversee various committees and encourage active participation from members. Seek opportunities to expand the brand and growth of the organization - community collaborations, presentations, media interviews, potential corporate sponsors, etc. In coordination with the Chamber, assist with communications and marketing strategies for the enhancement of the organization’s services and image. This includes web, social media and published documents. Keep abreast of professional development opportunities that will foster growth and advancement. Must be available to attend after-hours and occasional weekend events. Must have reliable transportation, maintain appropriate clearance and certifications, as it relates to working with minors, and be able to move and/or transport up to 20 pounds and remain in a stationary position.